Mick McCarthy knows that a victory is almost essential if he does not want to follow Steve Bruce out of a Premier League managerial post and a clash with Sunderland has been a good fixture for Wolves in recent years. Following the sacking of Bruce, Eric Black will take charge of Sunderland and it is likely to be just the odd game that he manages given that Martin O’Neill is reportedly on the verge of taking over. Wolves are currently on the same number of points as Sunderland just outside of the relegation places and the pressure is building on McCarthy to end a worrying slump of eight defeats in ten games. However, the good news is that Wolves have won all of their last three meetings with Sunderland and are unbeaten in their last five fixtures with the Black Cats at Molineux. 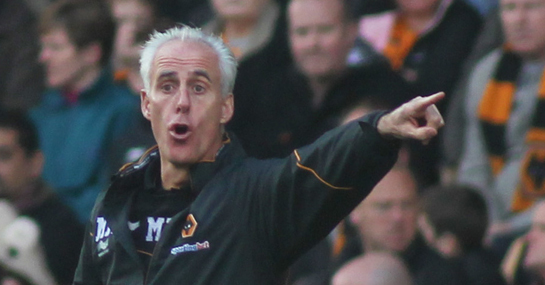 It is 11/8 in the Premier League odds that McCarthy gains a degree of breathing space courtesy of a home victory. Black would like to improve the mood of Sunderland fans ahead of a permanent managerial appointment and it is 2/1 that they claim a welcome three points. The draw that would effectively help neither team in their quest for Premier League survival is 9/4, although Wolves rarely draw games in the month of December. Despite their poor league position, Sunderland’s away form under Bruce this season was reasonable, with only Manchester United conceding fewer than their six goals on the road. With the added pressure on the game and the fact that both teams are hardly prolific in front of goal, the best bet at Molineux is perhaps the 8/11 that a maximum of two goals are scored. Wolves winning 1-0 could also be a decent selection in the correct scoreline market at 7/1.